I have previously reviewed Goodson here  as the author of A History of Central Banking and Inside the South African Reserve Bank , in which Goodson drew on his knowledge both as a professional financial adviser and as an ousted director of the South African Reserve Bank who had taken a lot of flak quite recently for his criticisms of the shenanigans within the Reserve Bank. Goodson is a leading campaigner against the debt-finance system in South Africa. Something of his rebellious lineage might be discerned from his middle name: Mitford. 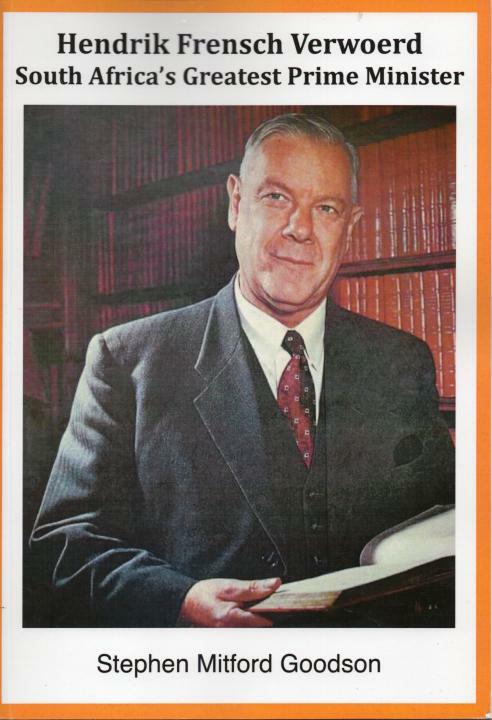 Goodson’s portrayal of Verwoerd is particularly valuable in going beyond the standard biographical details and in setting Verwoerd in historical context. The overwhelmingly distorted view of “apartheid” is explained, which had been evolving in South Africa for three hundred years and which Verwoerd made consistent and articulated as a philosophy of life. Only a few years ago, a Maori Party Member of Parliament, Dr. Pita Sharples, could still get away with literally mistranslating apartheid as “apart-hate” in a New Zealand TV interview. In South Africa, this policy was rather one of overwhelming success in the preservation and advancement of the myriad of the country’s separate identities and was a doctrine of state that had the support of the majority of blacks and coloreds. Among those least favorable to cohabitation with blacks, for example, was a young Indian lawyer named Gandhi .